If you like to go for breakfast and especially if you like crepes you will like this place. A friend took me to Spanel and since I’m not a huge fan of sweets for breakfast so I was a little reluctant to this visit. Once I started to look at the menu I change my mind and saw that my options were opening up. 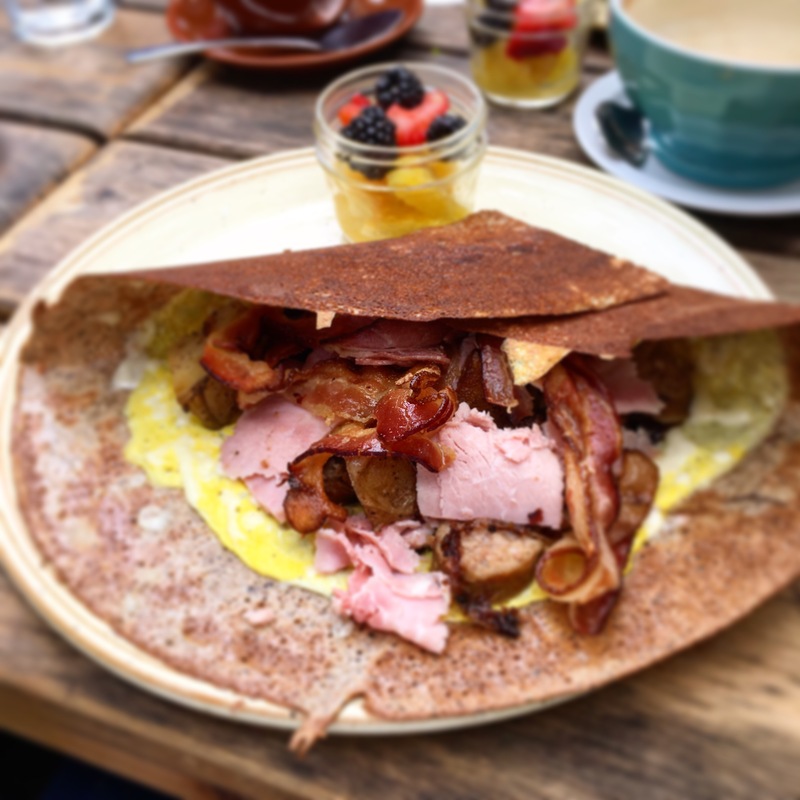 Yes they do serve crepes covered with a bunch of sweet ingredients but they also have breakfast buckwheat crepes that are on the saltier side. The range goes from a crepes filled with eggs, bacon, prosciutto, mac and cheese and this is only to name a few. Their crepes are all named after different neighborhood of Montreal so it will be easy for you to remember your favorite once you’ve found it. They also offer sandwiches, omelettes, soups and salad. I opted for the Quartier Latin as I’m a big fan of bacon, ham and sausage. The portions are quite big and I had a hard time finishing it. I did like it and it was kind of different to try than a lot of conventional breakfast that you can find everywhere. They have sitting room inside obviously but they also have a nice quaint terrasse where you can enjoy breakfast on a beautiful day. They do have some umbrellas over the tables so you can enjoy it even in the event of a super hot and sunny day. They are located in Griffintown and are open 7 days a week opening at 8am.